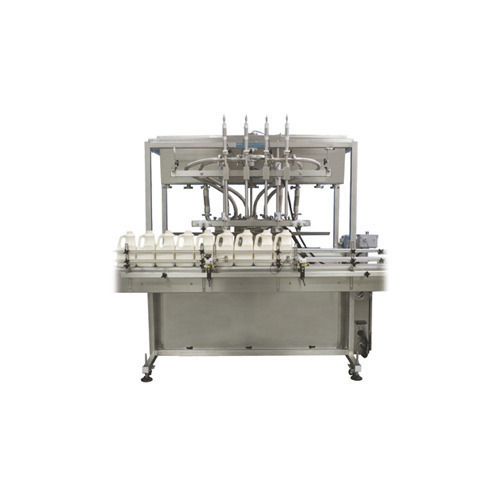 Automatic Edible Oil Filling Machine offered comes designed and developed using latest technology support and find suitability for filling of viscous liquids. These are suitable to be used in oil plants and come with linear type filling. Further, its electromechanical as well as instrumental integration control support also assure of reliable performance. Frequency control and photoelectric detecting system among others. Incepted in the year 1993 at Ghaziabad (Uttar Pradesh, India), we “Rattan Industrial India Pvt. Ltd. are known as the reputed Manufacturer and Supplier of premium quality range of Fermentation Plant, Distillation Plant, Pot Still Distillation System, Tube Heat Exchanger, Screw Conveyor, SS Storage Tank, etc. keeping in mind the market quality standards, these products are manufactured using high quality raw material and advanced technology. These products are highly demanded for their features like sturdy construction, reliability, low maintenance, easy to operate, long service life, corrosion-resistance and reliability. Under the guidance of our quality experts, the offered products are inspected on well-defined quality parameters to ensure their quality. We also provide these products to our clients in different specifications as per their requirements. We are offering our products under the brand name Rattan.